Titan OS is a real complete operating system with applications system integrated which improve every experience!. 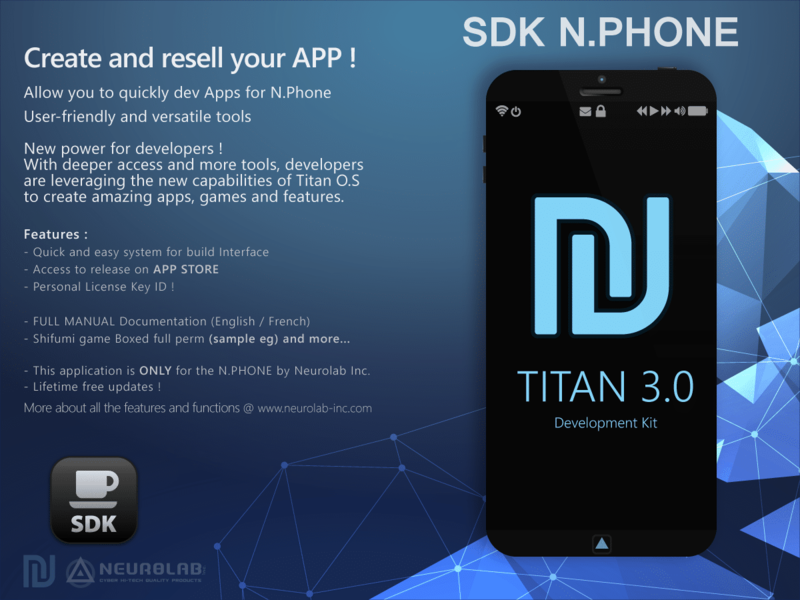 Titan is the foundation of N.PHONE, It comes with an amazing collection of apps! That let you do the everyday things, and the not-so-everyday things, in ways that are intuitive, simple, and fun. A superfast Connectivity can make you feel like the whole world is within reach! 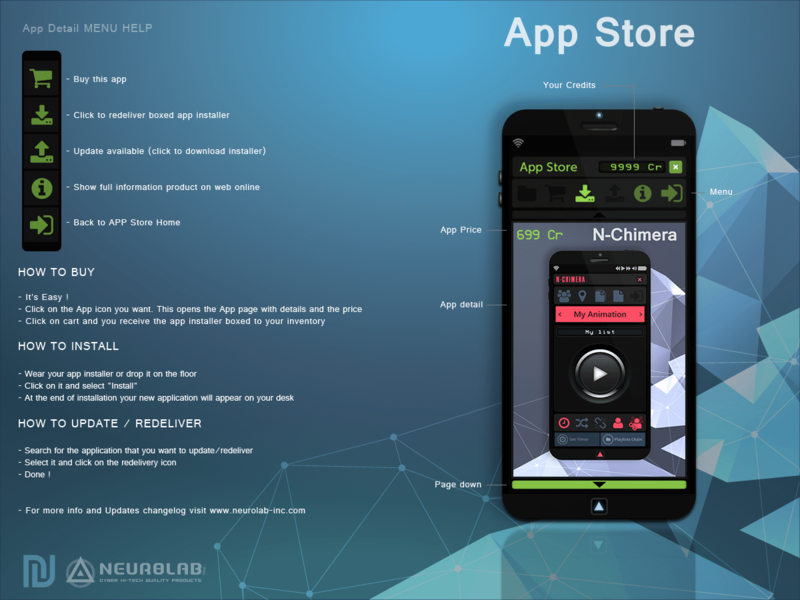 Our SDK (software development kit) bring new power to developers ! 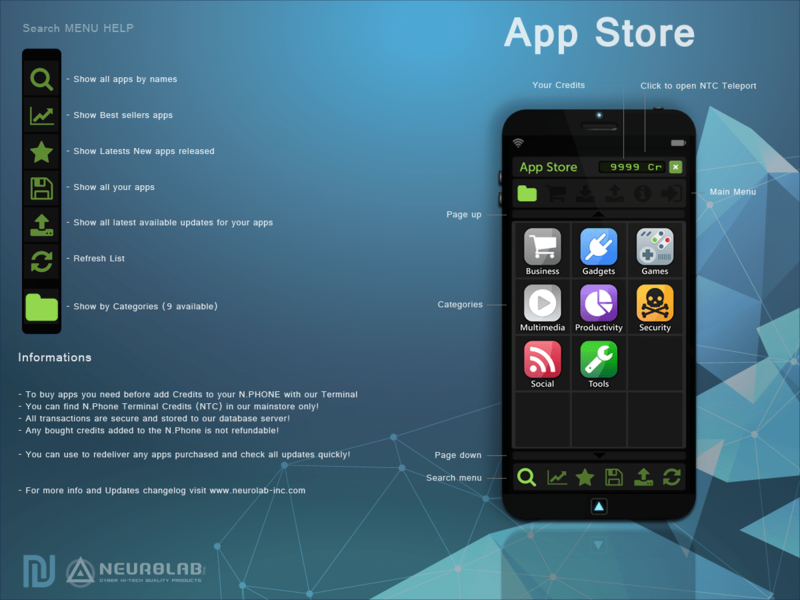 A Real manager of applications ! 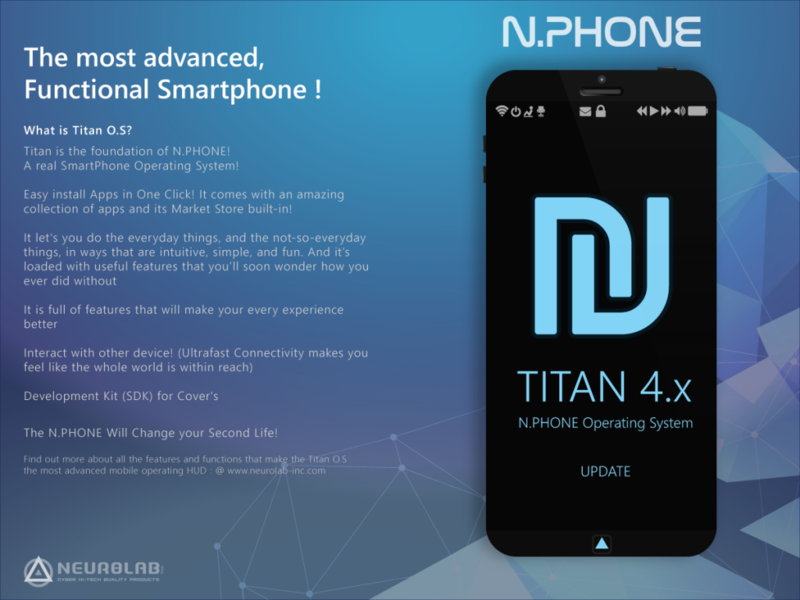 The manager of applications integrated into Titan OS allows to visualize quickly all the applications installed on his N.PHONE and proposes numerous options, to optimize the functioning of your N.PHONE. 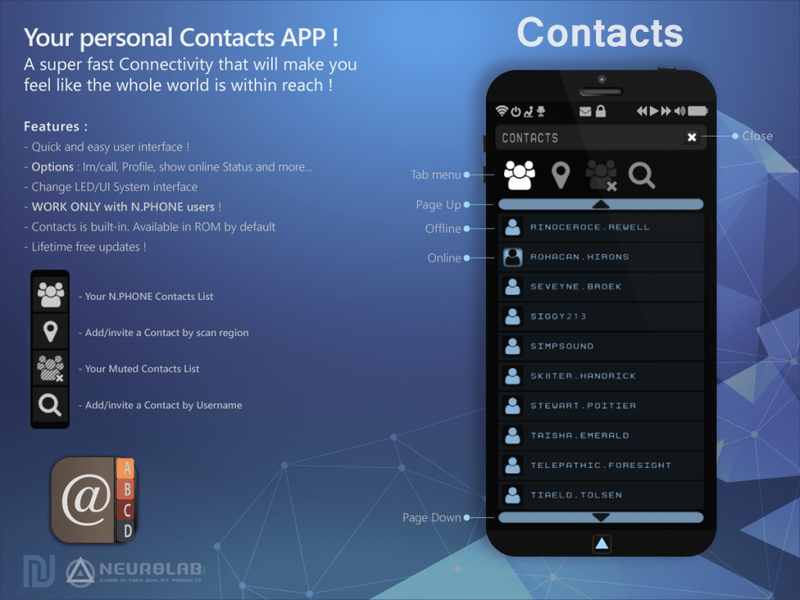 The categories are directly accessible at the top of the application and will automatically appear when you will add it! 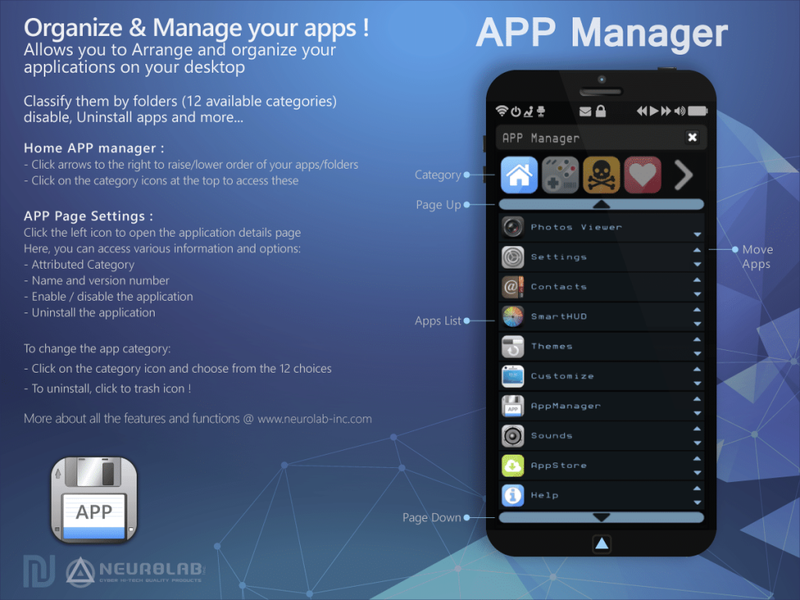 – A page opens with 12 categories, choose one! 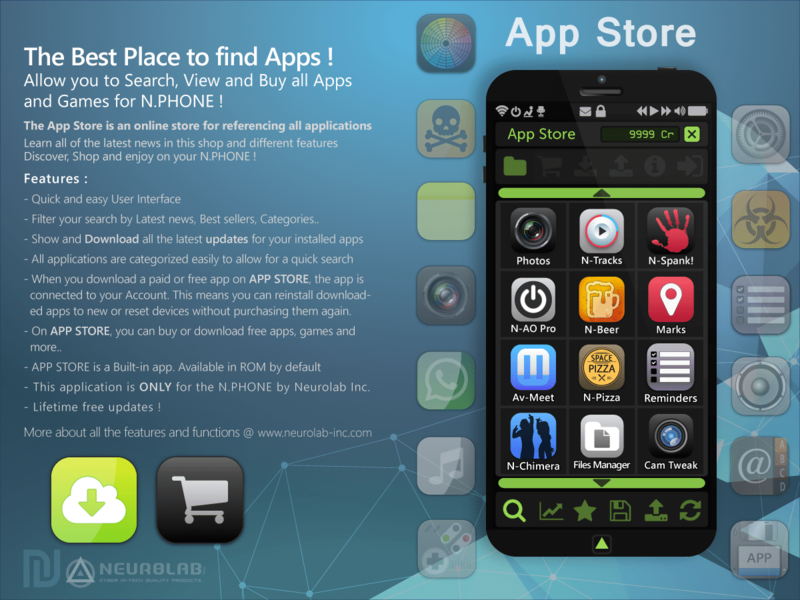 Proceed in the same way to reactivate the application! Complete settings of your system sounds! Titan integrates a big library by default that you can customize! Enable this option to “block” your NPhone, you can no longer remove. You can change clothes without having to re wear your NPhone. Requires compatible viewer with active RLV. The date and time can be displayed with four different fonts (black, white, black with white edging, white with black edging), while on main window, click on the time to switch between them and choose the one that best matches with your wallpaper. The date will automatically adjust depending on the hour, depending on your time zone. You can enable / disable the AM / PM Mode (12h display) and choose whether to display the date and time. You can change the display of months names, eg: Jan, Feb, Mar, …. or janvier, février, mars, …. Choose which days of the week the alarm will sound, use the arrows to set the time. When the alarm sounds, click the bell flashes in the taskbar of your N.Phone to stop it. 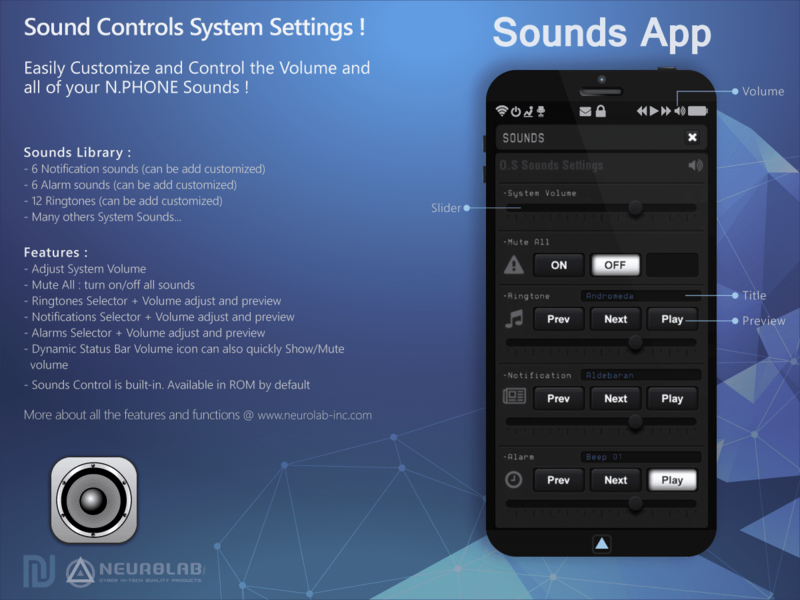 The application uses your Alarm sound settings and will play the selected alarm at the selected volume. – The selected button on your taskbar blinks now, to easily see which one your editing. – we can now click again on “Play” to stop notification and alarm sounds preview. 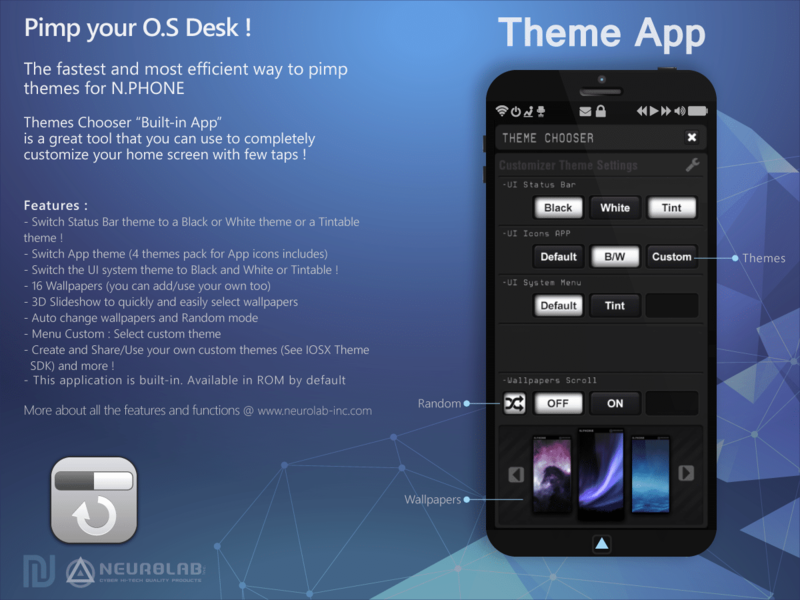 – Close this app when you’re satisfied with your buttons. 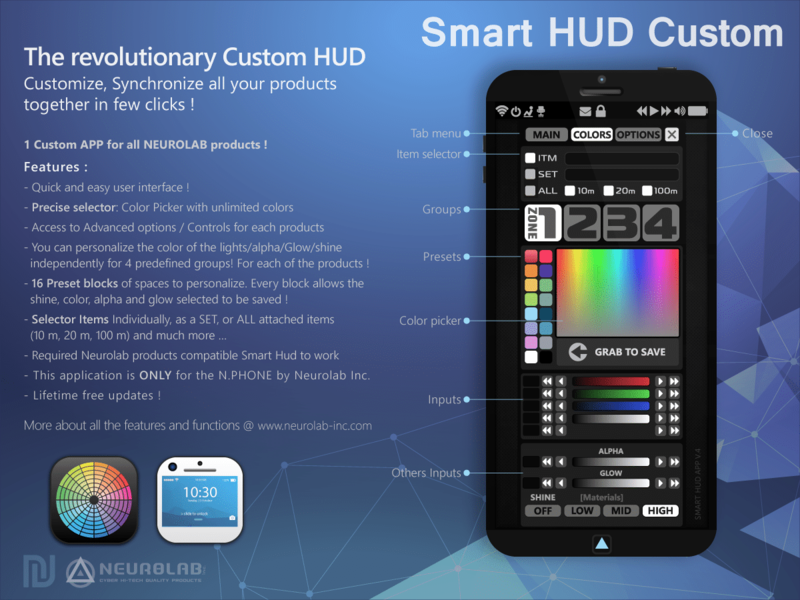 IMPORTANT: Include NEW N.DOCK and N.PHONE HAND 1.2 !